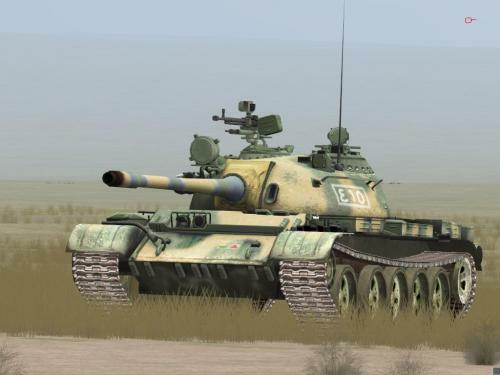 T-55 for Chinese forces (CN). This skin prevents Steel Beasts from rendering the fording tube, an alternative version with the tube is included. 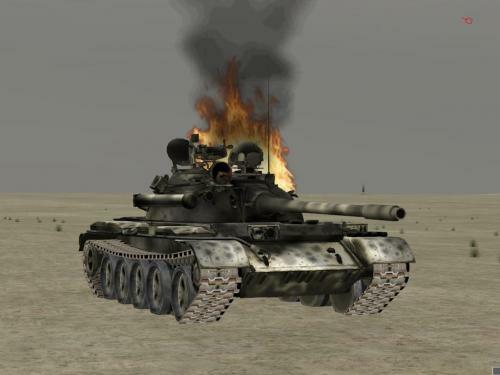 T-55 for North Korean forces (KP). This skin prevents Steel Beasts from rendering the fording tube, an alternative version with the tube is included. 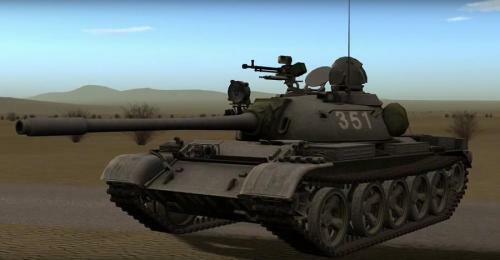 This is a visual mod to the T55 in order to make it look like the tank in the movie "The Beast" aka "The Beast of War". Simply extract the skin into your mods/exture/desert/ appropriate nations folder. 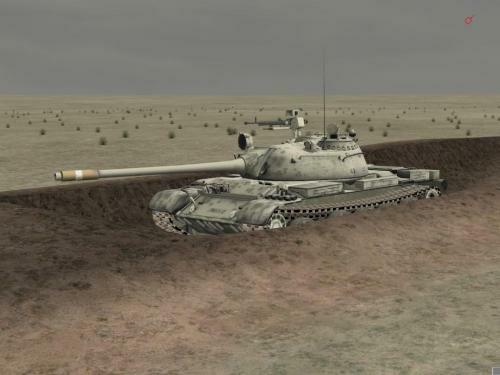 T-55 two tone desert pattern for Egyptian forces during the 1973 Yom Kippur/October War. Please use included decals file or the skin will not display properly. 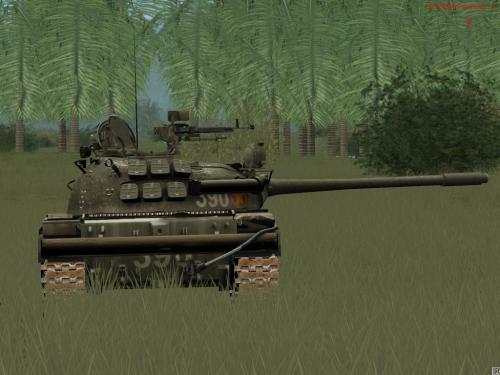 Vietnam People's Army T-55M, Steel Beasts ver. 2.654. The included decals are blank, but necessary to prevent the program from displaying the wrong insignia. 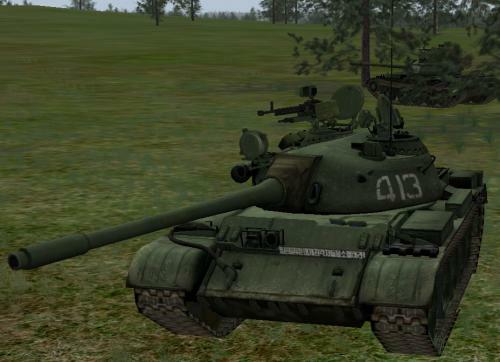 Cold War T-55 with Polish markings. 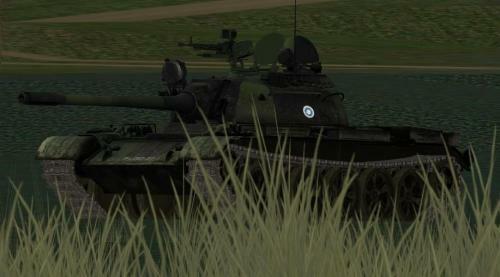 T-55 skin based on 1968 invasion of Czechoslovakia. The good old T-55 in a Finnish camo. Summer and winter versions included along with Finnish decals (national markings). 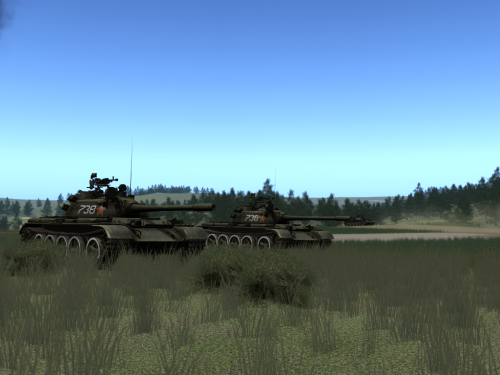 The T-55 warhorse has served the Finns since the 1960s. In late 1980s to early 1990s the Finnish T-55 flotilla went through a modernization that upgraded the vehicle with for example a new FCS, side skirts, thermal sleeve etc. A number of modernized T-55M -tanks are still in service in Finland, used as OPFOR, engineer vehicles (mine-clearing) and live fire targets. 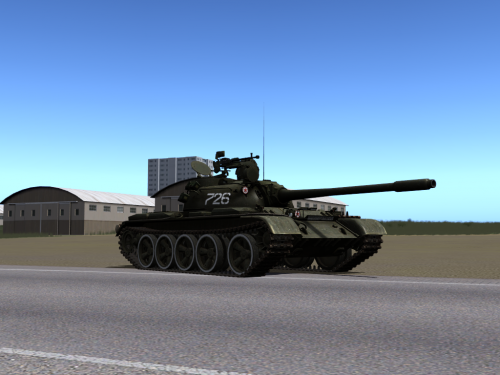 Minor detailing of T-55 and track file. Enjoy. 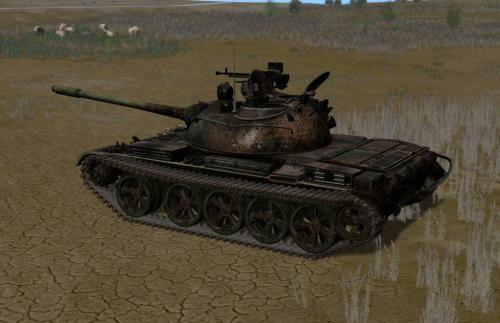 A skin for placing pre-destroyed T-55 wrecks in the Mission Editor (desert themed). 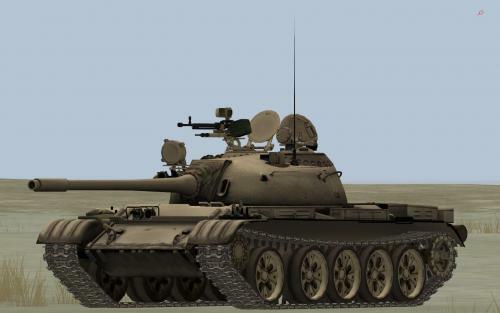 Two Desert files for the T-55M with the same pattern, one lighter and one darker. 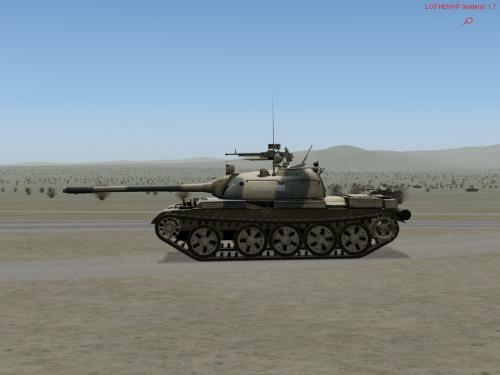 Updated version of previous T-55 Desert skin for 2.552. 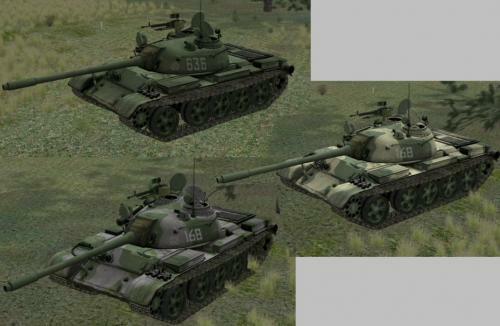 Three versions of the T-55 are included, all with new decals. 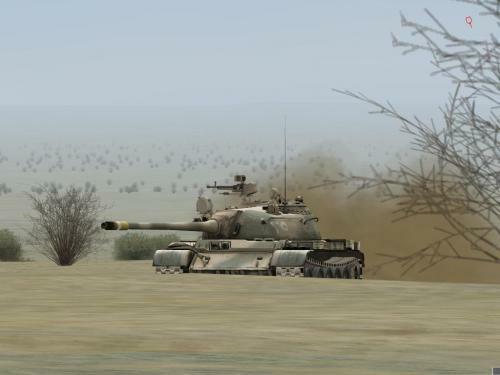 Numerous details have been added, such as new glass for sights and vision blocks, entirely new running gear, driver hatch, re-colored ammo boxes, 12.7mm rounds and other finer details. 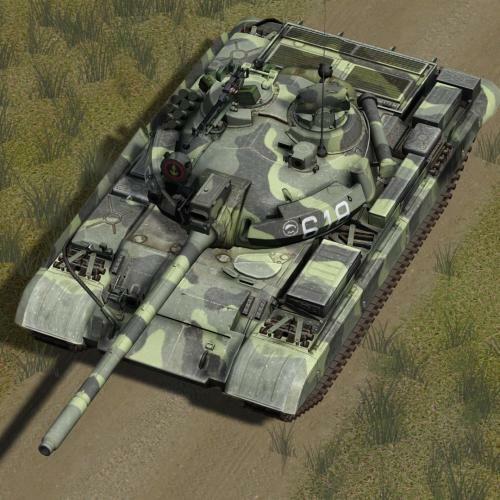 Soviet units were known to make field modified camouflage usually using an application of sand or gray over the traditional dark green base. 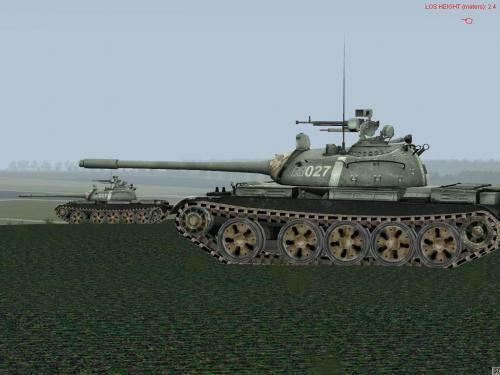 WARNING-the decals are on the skins so the t55decals.dds will have to be replaced with the TIS folder's t55decals.dds. 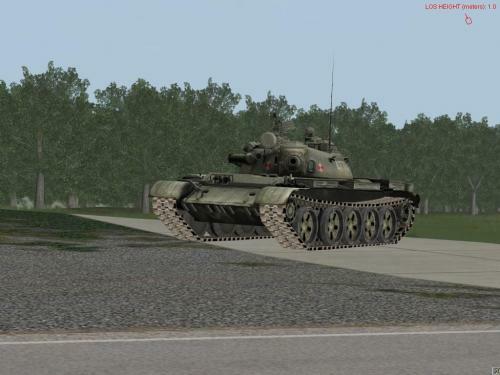 For ease the (TIS) t55decals.dds file is included in the pack. 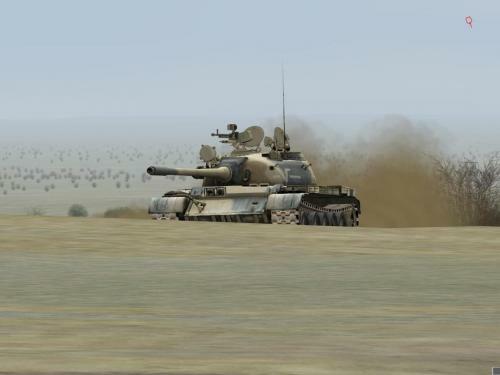 Desert skin for the T-55.